You want to know what's wrong with America? THIS is what's wrong with America. If this isn't one of the most asinine and truly shameful things I've heard yet. Yep - - - let's not teach American pride to our kids. Let's not teach them the good in our country - past and present - but only the bad. This is the future, fellow Americans, unless you/we put a stop to this kind of crap. It's up to you/us to teach our children to have American pride - I know I have. Why? Because it is “too American” and thus “insensitive” to other nations. And the school that just did this is in Lexington, Massachusetts — the very birthplace of the American Revolution, where the very first battle for American independence was fought. Instead of having pride in that distinction, the administration at Lexington High School apparently is ashamed of being American and wants to teach kids they should be ashamed too. School officials defended their decision and added they are willing to tweak the theme in order for everyone to be included. Um, aren’t we ALL Americans? “People consider America to be a melting pot, so the fact that it was even considered offensive is what people are a little surprised about,” said student Sneha Rao. In 1775 — in this town — the Battles of Lexington And Concord began, one of the two important battles where American colonists stood up for themselves and opposed the oppression of the British Crown. Now, in that very town where our nation was born, showing pride in that nation is now deemed a hate crime. Stand up, America. You are rapidly losing your country at the hands of radical Progressive indoctrinators. So, what do you think, America? Me? I believe - - no, I know this is sad. Very sad. I fear for our country's future. "A high school dance will keep its “American Pride” theme after a debate over concerns that people of other nationalities might feel excluded, the school superintendent said Tuesday. 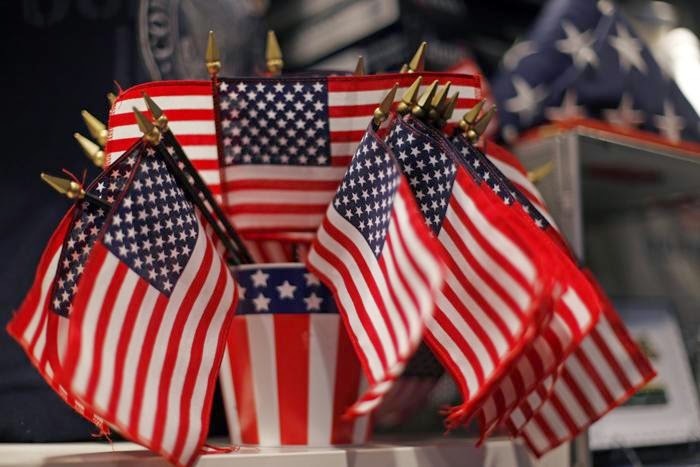 The story gained widespread attention because of the idea that Lexington, known for the “shot heard ‘round the world” that began the Revolutionary War, would ever opt out of celebrating American pride." The kids win, and so does a stand for American pride! Makes me mad. Burns me up. I mean, can we just think about all the thousands of men and women in our armed forces risking their lives, and sacrificing their family time etc to keep our nation safe and free?! COME ON PEOPLE! I'm a teenager and I am PROUD to be an American! Thanks for the awesome post, Ken! This is absurd, "politically correct" bull****. I hate to speak that way, but mindsets like these really drive me up the wall. These administrators should look around the world: in Portugal, children learn the traditional folk dances, folk crafts and arts, traditions, etc. They, and other countries around the world I'm sure, don't feel the need to "include" other nations in the celebration and pride of their own country. There is a time/place for an international/cultural festival and a time/place for celebrating our nation's heritage! Gahh!